mark. Chic Frills Powder Blush - $14 - offers a gorgeous spring-time glow on any skin tone with two complementary shades that can be swirled together or applied individually. Or course you may not need to decide whether to use the colours together or separately - it's so darned pretty that it's a shame to use it at all! 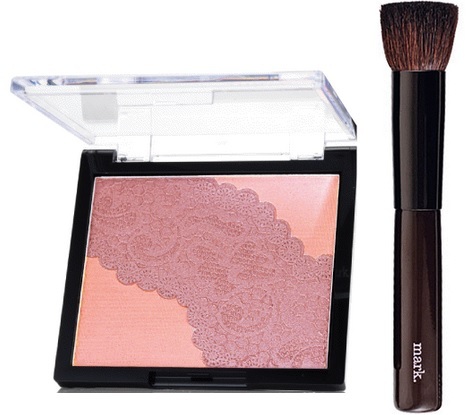 Blush + Bronzer Brush - $10 - with a flat shape and medium-fluffy head of hair that allows for a controlled dusting of colour across the cheeks or face. Available from your Avon rep - 1-800-265-AVOwww 1-800-265-AVON or online at www.avon.ca.